For those of you who have been asking how we weathered the storm, watch this video clip. The video footage was taken less than 30 miles from the Mexican border! 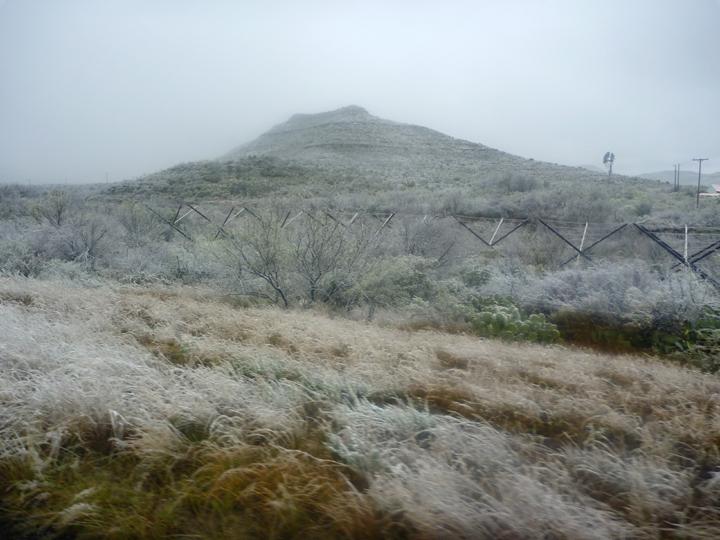 It is still freezing cold at night here at Big Bend National Park, which is right ON the border. We NEVER expected this way down here. Would you? Days are now beautiful and sunny, though still on the chilly side. We are getting out to enjoy each and every one of them. Will paddle on the Rio Grande this afternoon as soon as our laundry is done. 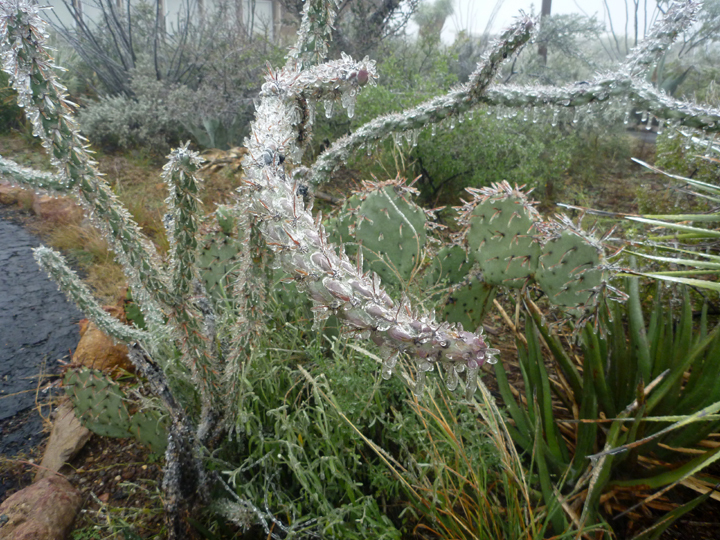 Ice on cactus…….now that is cold !! Not surprised at all. It’s “El Norte” to the Mexican people. Years ago the telecast from the Sun Bowl football game from El Paso featured snow flurries that looked like northern Michigan. 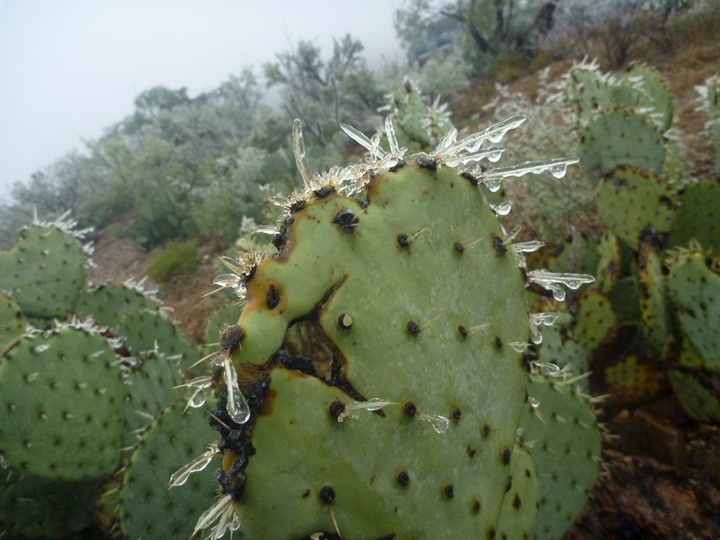 Good pictures, H.
beautiful photos – ice on cactus!! love the video – it’s like you were here for a minute. Happy happy thanksgiving!! You are with me, Janne.